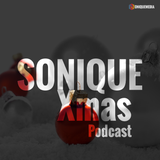 What makes Sonique so unique as a DJ is that she has blended her excellent powerful and emotive singing abilities with a natural mixing talent to create a unique club atmosphere. As soon as she steps up to the decks she picks up the mike and introduces herself, instantly connecting with the crowd and setting up the atmosphere for an unforgettable night. Right at the peak of the best tunes comes the perfect crescendo of smooth vocals just made up on the spot yet somehow sounding like they are meant to be there. This talent never before seen in clubland is unique to Sonique. The other leg of her career is to write, record and remix songs, mainly dance-orientated and soulfoul with a high potential to go on top of the club charts as well as the pop charts. Sonique&apos;s greatest hit so far is the song «It feels so good», being re-released in 2000 and becoming a chart-topper in many countries that year.